In New Jersey, there are certain blood alcohol content levels that determine, if you’re convicted or plead guilty, what the severity of the sentence you will receive will be. The minimum blood alcohol content you need to meet in order to be convicted is .08 percent. If you are convicted of having a blood alcohol level of .08 or .09, your license suspension will be for 3 months. If this is your first offense DUI and your blood alcohol level is below .15 percent, the court may require you to have the interlock device installed for 6 months-1 year after your driving privileges have been restored. Interlock devices are expensive to purchase and also require a monthly fee to own. It is a device that you will have to install in your car and blow into each time you start your vehicle. If the interlock device reads a blood alcohol level over .05 percent, the car will not start. If your limit is .10 to .14, your penalty will now be 7 to 12 months suspension. If your limit is .15 or higher, your penalty will be 7 to 12 months license suspension plus the imposition of an interlock device during both your license suspension and for 6 months-1 year after your driving privileges have been fully restored. 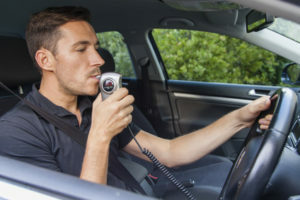 In the event that you have a second, third or subsequent offense for a DUI, the court will require you to have the interlock device in your car during your license suspension that can last from 2-10 years and then for an additional 1-3 years after your driving privileges have been restored.